The beneficial health properties of garlic are well known, but researchers at the University of Stirling and Charles University in Prague have uncovered another less well known and surprising property – that the body odour of men who eat garlic is attractive to women. 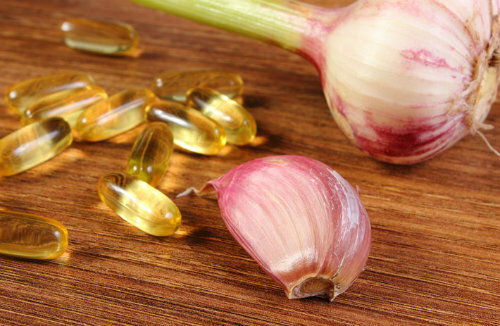 In a study of 42 men – who each were asked to eat raw garlic, garlic capsules, or no garlic – their body odour was perceived to be ‘significantly more attractive’ when they had eaten garlic in bulb and capsule form than when they hadn't eaten it. For the study, 82 women were asked to sniff the odour samples and judge them on their pleasantness, attractiveness, masculinity and intensity. Researchers found the unexpected positive effect was only achieved once the men were eating a substantial amount of garlic. When the men ate 6g of garlic, equivalent to two cloves, with bread and cheese, there was no difference in the ratings between then and when they simply ate the bread and cheese on its own. But when the dosage was doubled to 12g, or four cloves, the men were reported to smell more attractive than when they hadn't eaten it. In the final experiment, when the men consumed the same amount of garlic, but in capsule form, their body odour was also perceived as more attractive. Craig Roberts, Professor of Psychology at the University of Stirling, said: “Our results indicate that garlic consumption may have positive effects on the pleasure derived from perceived body odour perhaps due to its health effects. “From an evolutionary perspective, formation of preferences for diet-associated body odours was possibly shaped by means of sexual selection. Previous research indicates that many animal species use diet-associated cues to select mates in good physical condition. “As the health benefits of garlic consumption include antioxidant, immunostimulant, cardiovascular, bactericidal and anti-cancer effects, it is plausible that human odour preferences have been shaped by sexual selection. The study concludes that body odour, in contrast to breath odour, is positively affected by garlic and that these two sources of odour should be strictly differentiated. As breath odour plays an important factor in intimate relationships further studies may be carried out. Media enquiries to Corrinne Gallagher, Communications Officer, on 01786 466 687 or corrinne.gallagher@stir.ac.uk. The full research report was originally published in Appetite - an international research journal specialising in cultural, social, psychological, sensory and physiological influences on the selection and intake of foods and drinks. As a leading UK research-intensive university, Stirling is committed to carrying out research which has a positive impact on communities across the globe – addressing real issues, providing solutions and helping to shape society. Interdisciplinary in its approach, Stirling’s research informs its teaching curriculum and facilitates opportunities for knowledge exchange and collaboration between staff, students, industry partners and the wider community.